Speakin' Geek: Iron or Man? 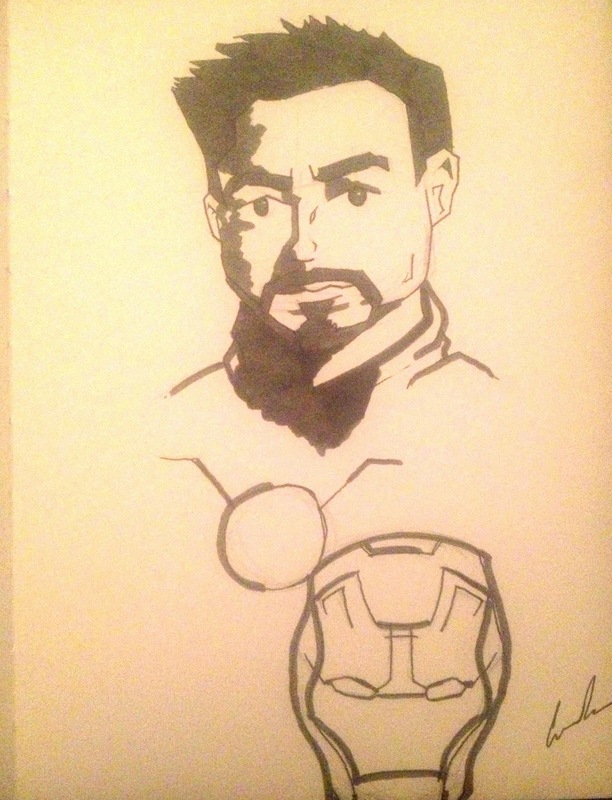 As 'Iron Man 3' draws closer and closer, I've come up with one or two ideas for Iron Man, a kind of promotion for the film by fans like me. Here is my first one. I hope you like it. There will be more. The theme is 'Iron or Man', as the films continue on the line between tech and man is blurring. Tony is finding it harder to stay relevant in a world where Gods, monsters and Super-humans are now becoming the norm. I think he is having a nervous breakdown in his own unique way. Here is my first sketch and I hope you enjoy.